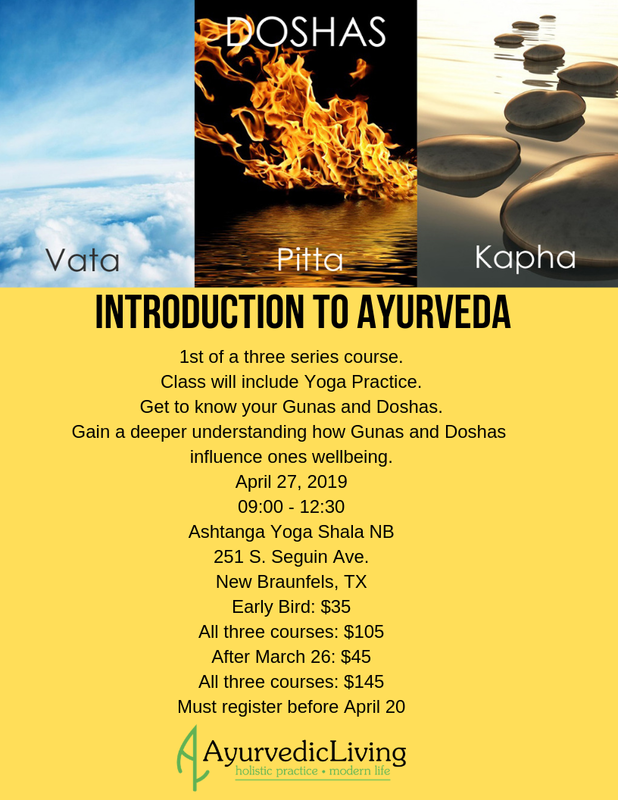 This is the first class of a 3 class series on Ayurveda, Introduction to Ayurveda, Ayurvedic Cooking and Ayurvedic Routines. Check the Event Calendar for the other courses! The introduction course will start with a yoga class, since yoga is used in Ayurveda as a means of achieving well being. 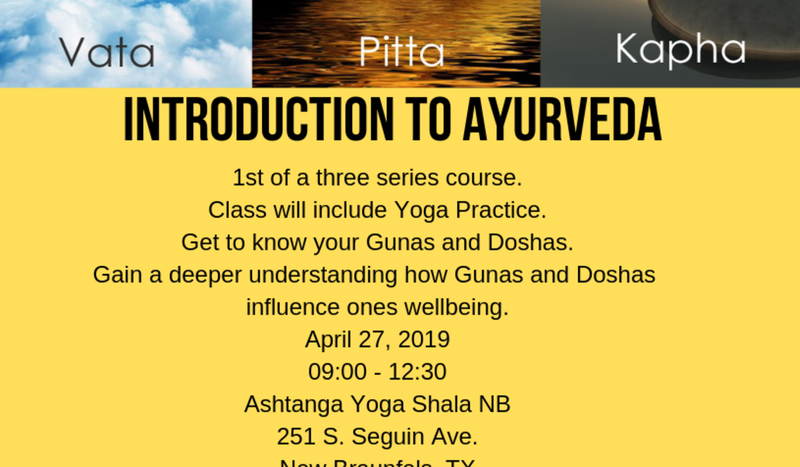 The lecture will start with a test of the constitution and through the analysis of the test the participants will learn what the Gunas and Doshas are, how they determine one's constitution physically, mentally and spiritually. How to balance the Gunas and Doshas to achieve overall health. Sign up by emailing ashtangayogashalanb@gmail.com, with your full name and which courses you want to take. We will send you an invoice through square and once you have paid your spot will be reserved for the course you signed up for. Must register on or before April 20th! Cancellations will get fully refunded until the registration deadline, April 20th! After registration deadline no refunds are given!